Enjoy ultimate relaxation after a long day by outfitting your bathroom with the BW-04-L freestanding bathtub. This large, oval bathtub features sleek style lines with modern flair. A centrally located drain with overflow protection allows you to fill up this bathtub with warm water to cover your body for a therapeutic effect. This bathtub comes in your choice of matte white or glossy white finishes, both of which coordinate seamlessly with any color scheme. Not only is this modern freestanding bathtub a stylish addition to your bathroom, but it is also an eco-friendly choice. Crafted from luxurious stone resin, this tub consists of non-toxic materials and offers incredible heat retention. Because stone resin is non-porous, you can use colorful bubble bath and bath bombs without fear of staining. The simple design of this freestanding bathtub makes it a perfect pairing for a floor or wall-mounted faucet. 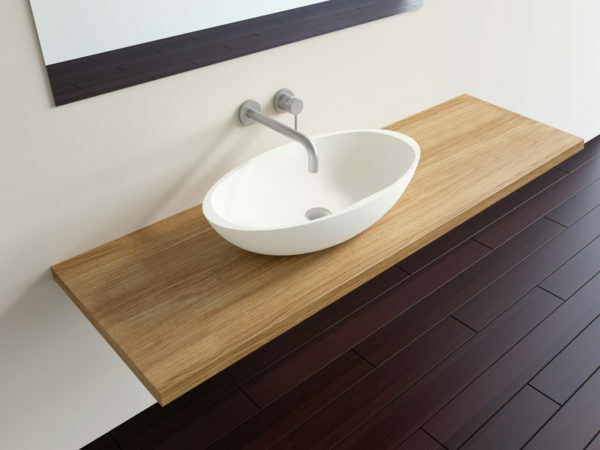 The included pop up drain comes in a full range of finish options, making it easy to coordinate with the hardware finishes you chose throughout your space. Our Badeloft soaking tub and matching sinks are perfect in the Master Bath. Everyone who sees it want to know where we f…ound the tub and is extremely impressed by the quality of the product. I was lucky enough to be able to go to the showroom to view the actual finishes and designs, but the items were delivered 3000 miles away on the east coast. Tyler was terrific and made the entire transaction seamless. I cannot say enough about the quality and value of the products.